God is always doing much to treasure and cherish us. From the little blessings of life to profound answers to prayer. But in all His kindness we tend to forget to have a heart of gratitude. As we become distracted by the busyness of life we tend to expect His goodness, while forgetting to praise Him for it. It's not that we're ungrateful, but a busy life can distract us from having the right heart. But doesn't God deserves a grateful servant? Wasn't Jesus pleased with the leper who returned to thank Him? Knowing this, we should do likewise, dedicating ourselves to having a grateful heart continually. 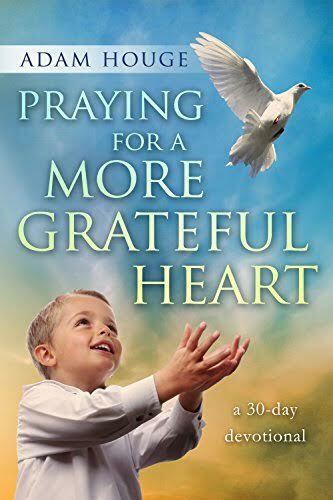 Over these next 30 days devote yourself to growing a grateful heart, and by expressing it you'll find a deeper intimacy with your loving Savior than you could ever imagine.